03/26/15 – Production has begun on the HP-10 Crown Kit “Works”. The irons are being machined, after which they will be heat treated and ground. Two unique dies are currently being made to use in extruding the hones. After the hones have been extruded, they will be anodized. 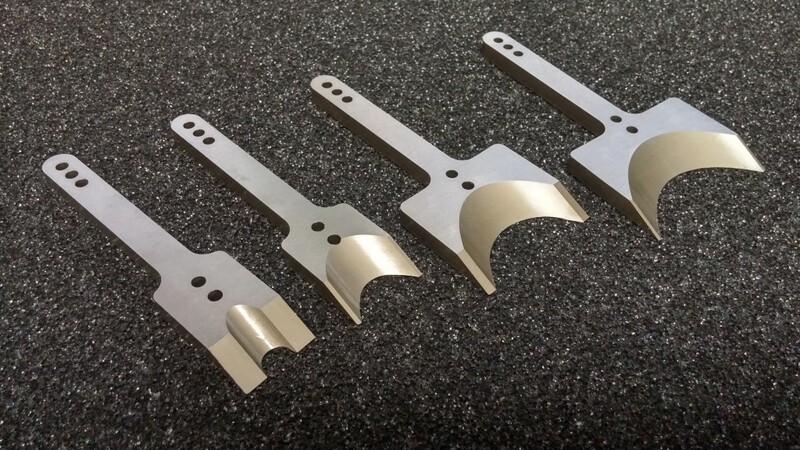 The profiles are also being machined before being anodized to match their corresponding hones. These samples were straight from the extruders and have not been cleaned up or anodized. Their purpose was to enable us to test how well the irons’ radii match up with their corresponding hones, and they match perfectly. 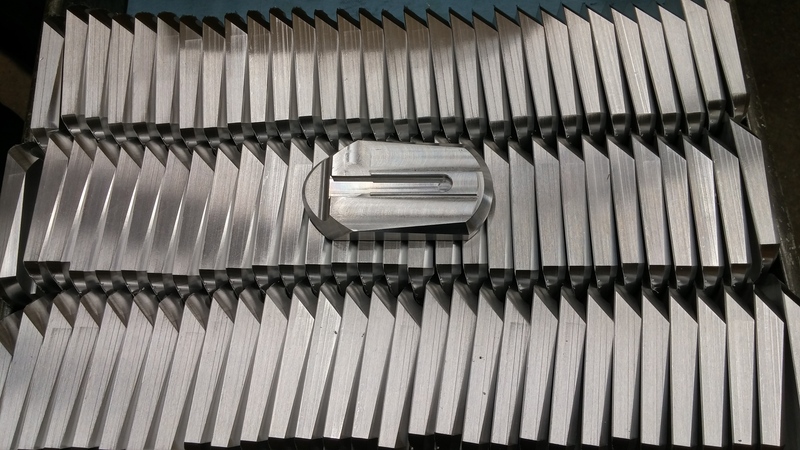 06/04/15 – All of the soles are currently at the anodizers, where they are being bead blasted prior to anodizing. All of the irons have been machined and are almost finished; they just need to be heat treated. The final parts of the kit, the hones, are being extruded. 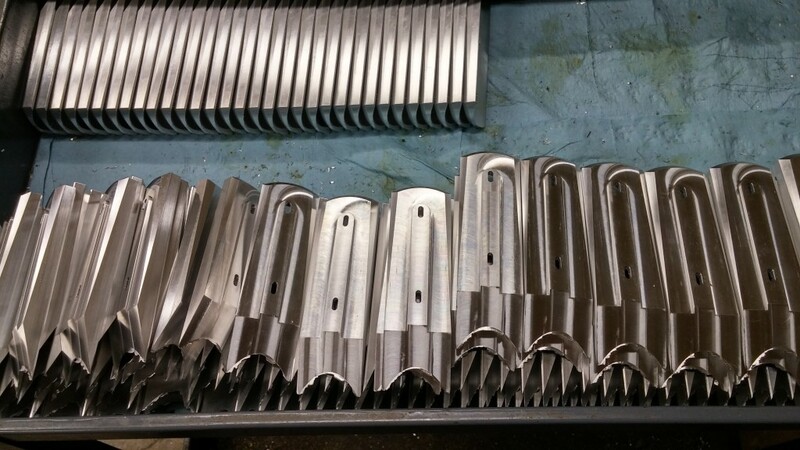 06/12/15 – The irons have been heat treated and should be arriving soon. The soles are beginning to arrive from the anodizers, and the ones that are done look fantastic. Both hones have been extruded; they just need to be deburred before heading to the anodizers. The last pieces of the puzzle are the large and small hones, which just arrived at the anodizers today. 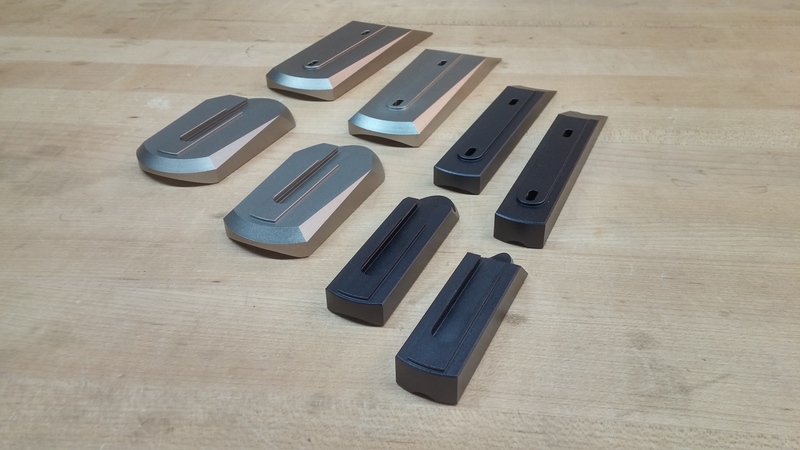 06/26/15 – The hones are currently being anodized, and we expect them to arrive at the end of next week. Once we get the last two parts, we will be able to start assembling the kits and processing pre-orders. 07/13/15 – The hones have arrived, and kit assembly just started this morning! We are hoping to begin processing pre-orders by the end of the week/early next week. 07/16/15 – Pre-orders are starting to be processed. We will continue to process them, and should begin going through the wait list in about 3-4 weeks. 08/07/15 – While processing orders, we found that a number of the hones were not up to Bridge City levels of quality. Each hone was individually inspected, and all of the problem hones were removed from those being processed. The issue appears to derive from the extrusion process. We are having the problem hones reworked and will do our best to have them ready to ship as soon as possible. 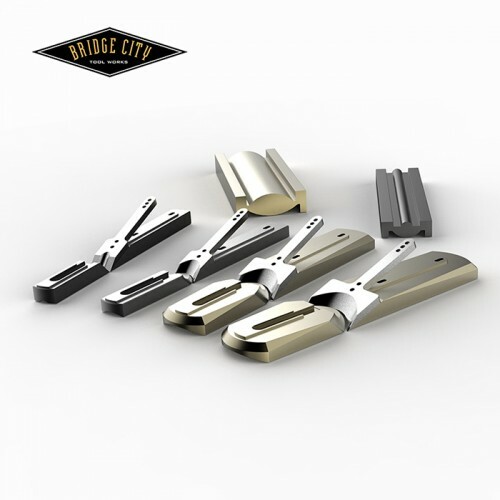 09/08/15 – After much discussion with the extruders, it was determined that the problem hones could not be reworked to a level that meets Bridge City standards of quality. They must be completely remade, and the new hones are currently being extruded. We are expecting to receive them by the end of next week/early the following week. Each hone will be inspected before they are sent to the anodizers. We apologize for the delay and greatly appreciate your patience and understanding as we correct this issue. 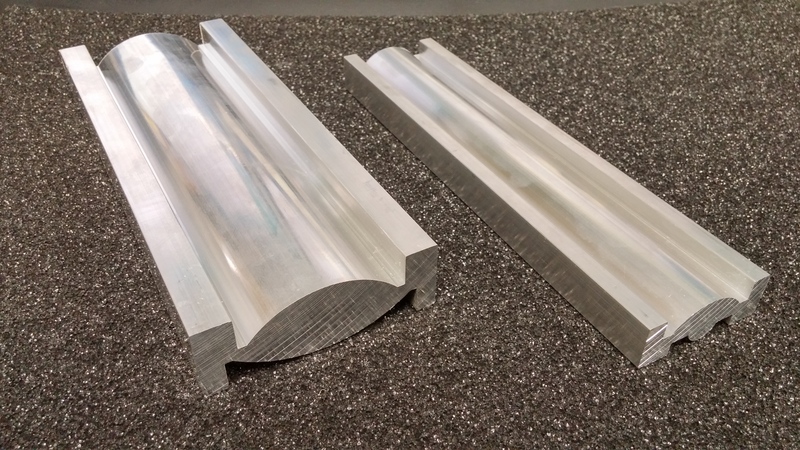 10/02/15 – All of the new hones have been extruded, cut to length, and are currently being deburred. We expect them to arrive for inspection next week, after which they will be sent to the anodizers. 10/26/15 – The new hones are currently at the anodizers. The anodizers are a little backed up, so it will be about two more weeks before the hones are ready. 11/30/15 – We finally have the remade hones and the remaining pre-orders are being shipped. Call or email us if you are interested in any extras!